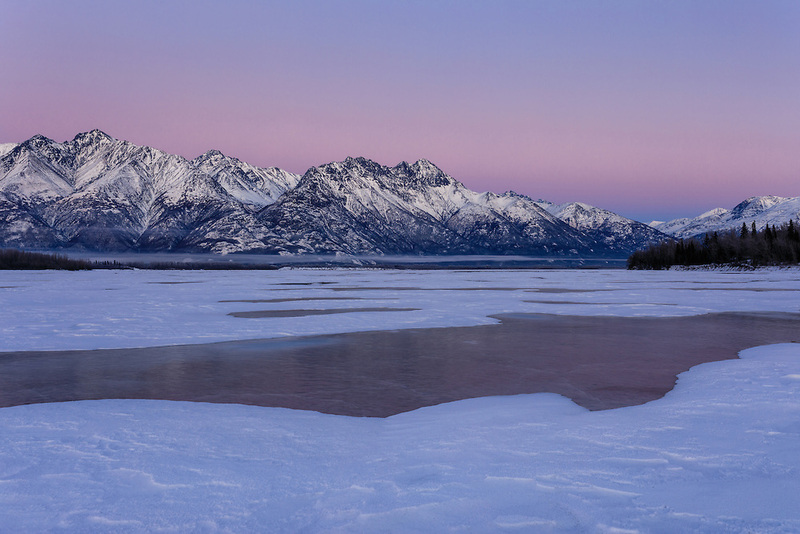 Sunset alpenglow over the Chugach Mountains and the Knik River in Southcentral Alaska. Winter. Afternoon.